Collision claims in Colorado, Washington, and Oregon went up 2.7 percent since legal recreational marijuana sales began, compared with surrounding states. 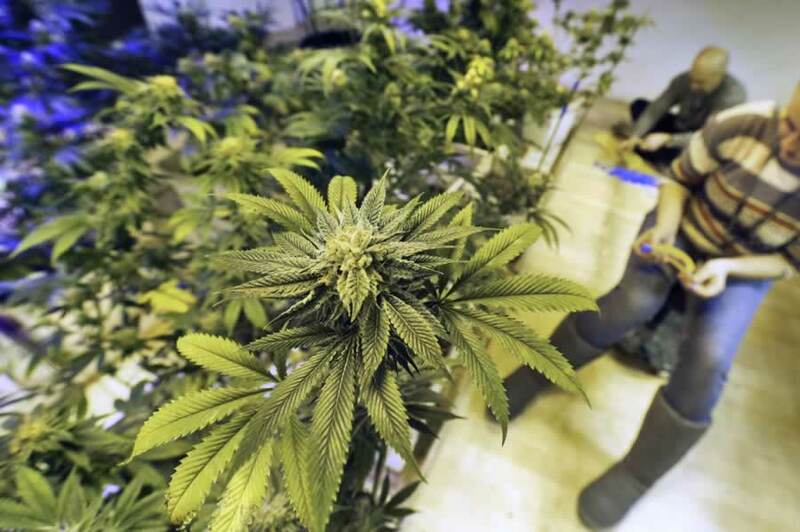 In this Dec. 31, 2013 file photo, employees tend to marijuana plants at a grow house in Denver. Collision claims in Colorado, Washington, and Oregon went up 2.7 percent since legal recreational marijuana sales began, compared with surrounding states.